The excellent white wine of Tuscany and especially of San Gimignano and the Siena hills is the famous Vernaccia di San Gimignano, a white of character coming from a native grape variety, which at the farm Podere La Marronaia San Gimignano blossoms to reach its highest potential. 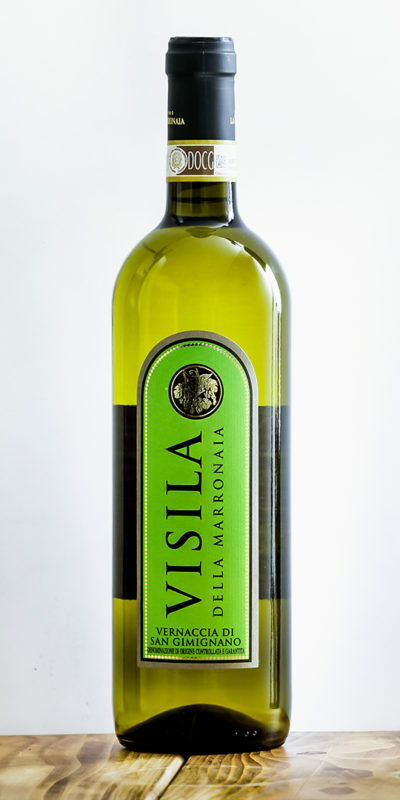 Visila della Marronaia is in fact a white wine characterized by a fresh and fruity flavor made just of Vernaccia di San Gimignano DOCG. It can be enjoyed throughout the meal, and is suitable for seafood menus with both white meats or with an Italian aperitif.